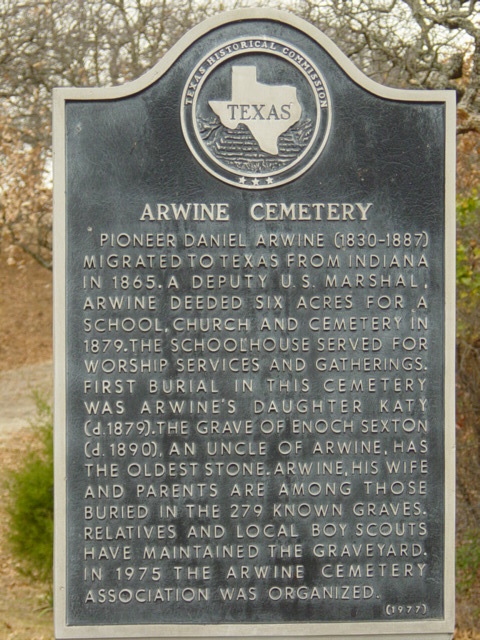 Pioneer Daniel Arwine (1830-1887) migrated to Texas from Indiana in 1865. A deputy U.S. Marshal, Arwine deeded six acres for a school, church and cemetery in 1879. The schoolhouse served for worship services and gatherings. The first burial in this cemetery was Arwine’s daughter Katy (d. 1879). The grave of Enoch Sexton (b. 1890), an uncle of Arwine, has the oldest stone. Arwine, his wife and parents are among those buried in the 279 known graves. Relatives and local Boy Scouts have maintained the graveyard. 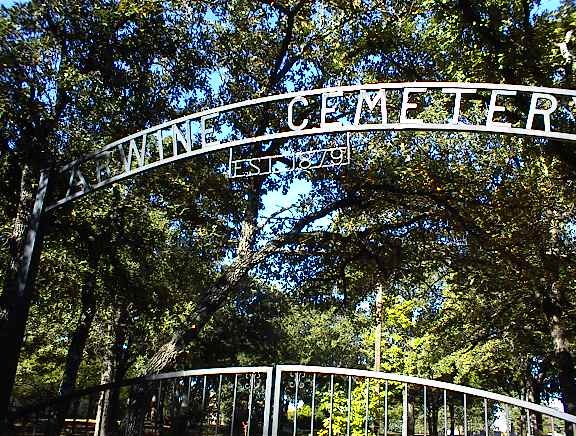 In 1975, the Arwine Cemetery Association was organized.